IndonesiaTravelVisit.com | A waterfall standing on the seashore is rare to find in Indonesia, and even in the world. 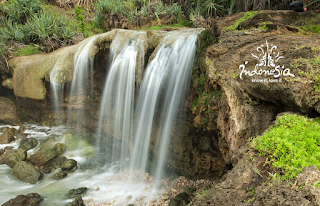 Hidden behind karst hills, Gunungkidul-at the South of Yogyakarta-turns out to be keeping a waterfall which falls directly to the sea. Sunset was about to come when IndonesiaTravelVisit.com arrived at Jogan Beach. Surrounded by high cliffs such as those commonly found around limestone hills, Jogan Beach appears to be a melting point where the riverflow comes downhill to meet the waves that roll to the offshore. From tens of beaches spread along the 71 km distance along Gunungkidul coastal line, Jogan Beach sits on a special spot as it has a waterfall that falls directly from the cliff to the sea, reminding us of McWay Beach Waterfall in California. All these times, there has been only few tourists who have known about Jogan Beach. 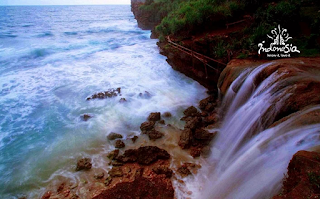 Located to the West of Siung Beach, Jogan has been often ignored by those climbers who are just too curious to hold the beautiful cliffs at Siung Beach. 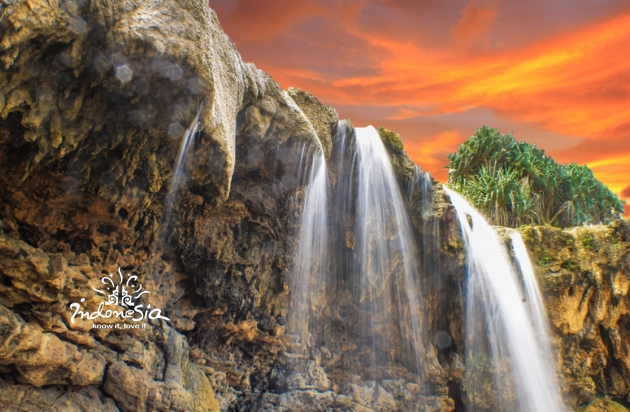 0 Komentar untuk "JOGAN BEACH , The Melting Point of Exotic Waterfall and Sea at The South of Yogyakarta"